Your print advertisements for your business need to have 5 necessary components to make effective for your readers. These ads need to engage with your customers. Be sure your ad is clear, concise, inviting and informative. You have just a moment to grab their attention and give them the necessary information to make a decision about your business. Making a lasting impression will make a huge impact on whether your reader will keep reading or just throw it away. 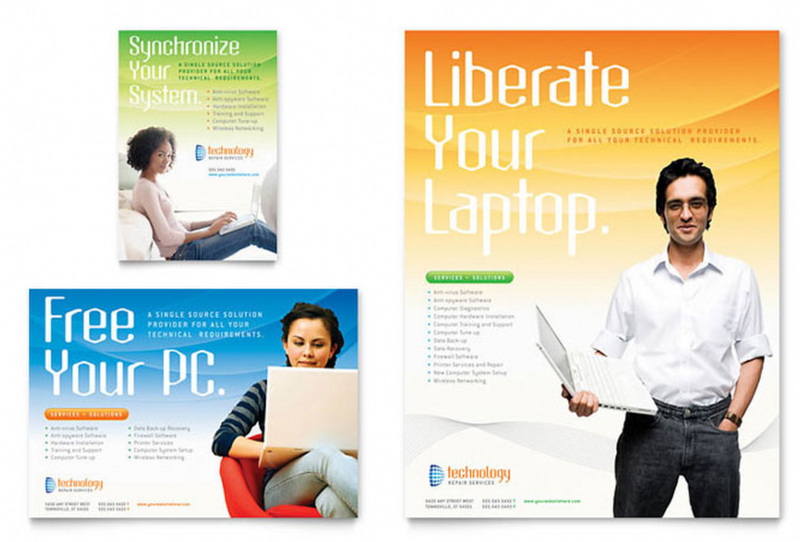 These 5 key components can assist you in creating a impressionable print ad. Almost all cases show that the headline, on its own, is the most key factor of any print ad. Determine to keep your headline concise and well-defined. steer away from being too "artistic". Keeping your headline simple will keep the reader focused on the meaning of it. The next part is your subheader. The subhead can draw your clients deeper into the print ad. Giving a subhead that gives a concise explanation of the ad and will keep the traction moving in the right direction. Keep in mind that not all ads need a subhead. If you plan to use a subhead, this section is generally a smaller type or font then it's predecessor, the headline. Avoid muddling the ad with a subheader if it does not seem necessary to attract your reader. Here is the gears of the print. The body is where you explain what you are offering or selling. Share the benefits and important details as brief as you can. Again, remember you only have a moments time to catch the reader, limit the amount of information here or if you are able to, eliminate it completely. The purposes of the graphics on a print ad are to create an eye drawing moment, keep them engaged and even calling attention to something specific about the ad. Having a good headline and a great graphic will create an engaging tone for the ad. Looking for a someone to print your ads, flyers, banners or more? Check out Villa Park's Chamber Members, Click Here to search for your local business What tips might you share on print ads?